By the End of Your 12th Week of Being Pregnant, Your 1st Trimester will by Complete. 202 DAYS TO GO. . . Your baby is on the go. 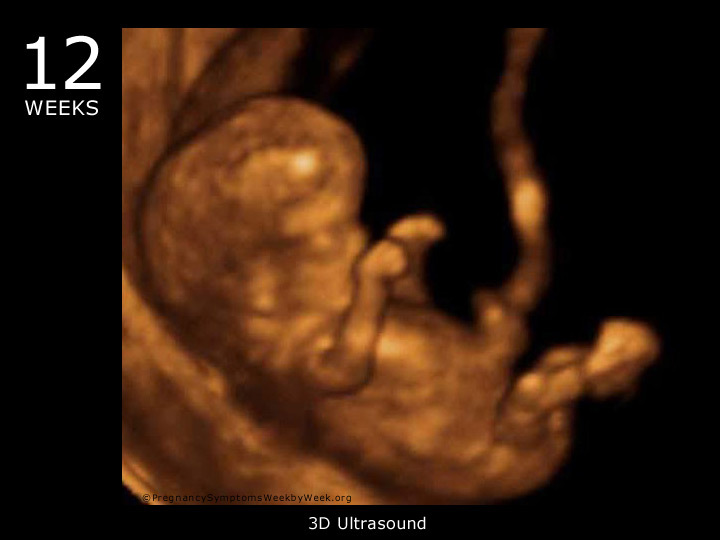 During an ultrasound, you may be able to notice your baby yawning and waving its arms and legs. Most women have their first scan this week. This is also the final week of your first trimester. The Ears have moved up into their final position. The Mouth is moving and your baby can now swallow. The Heart has progressed and is now beating rapidly at about 165 beats per minute. The Umbilical Cord has evolved and is now transferring all vital nutrients from your bloodstream. The Intestines have moved into the abdominal cavity from the base of the umbilical cord. During your first scan, your baby’s length will be measured and this will determine the exact age of your baby. This can give a more accurate delivery date, but this is by no means a hard deadline for your baby’s delivery. Very few babies arrive on their actual due date. Take time to relax into your pregnancy now. The risk of miscarriage falls as your pregnancy progresses and by the end of this 12th week, it’s no more than 1%. During this time you will most likely notice changes in your skin. Your skin may resemble that of your teenage years, with breakouts and flakiness, however don’t be concerned, this is just your hormones and it will pass. High levels of progesterone cause acne during pregnancy. 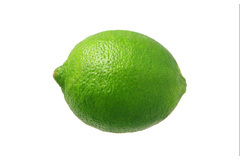 You may also notice dry skin over your stomach, which is caused by the stretching of the skin. Make sure to moisturize as not to stress your dermis. Other women find that with the high levels of estrogen in their bodies during pregnancy, that their skin is better than ever. This is the “glow” that people talk about during pregnancy. Your circulation is also increased, which will give you a naturally rosy complexion. Around this time, your doctor may be able to hear your baby’s heartbeat. Your baby’s heart will be beating at approximately 140 beats per minute. The heart is tiny and to maintain an adequate output the heart is unable to increase the amount of blood it pumps with each beat as we can as adults. Instead, your baby’s heart will increase the number of times it beats each minute. 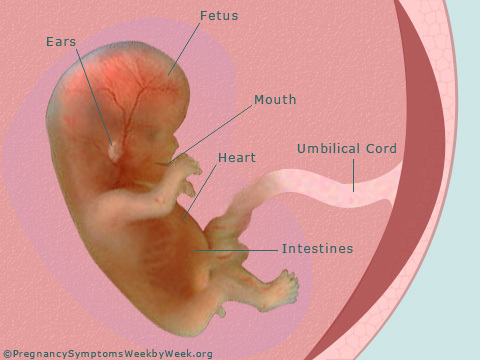 By then end of the first trimester it is normal to begin to feel a little breathless. This is because your heart and lungs are having to work much harder to supply your body and your baby’s body with oxygen.